Item # 314646 Stash Points: 5,495 (?) This is the number of points you get in The Zumiez Stash for purchasing this item. Stash points are redeemable for exclusive rewards only available to Zumiez Stash members. To redeem your points check out the rewards catalog on thestash.zumiez.com. 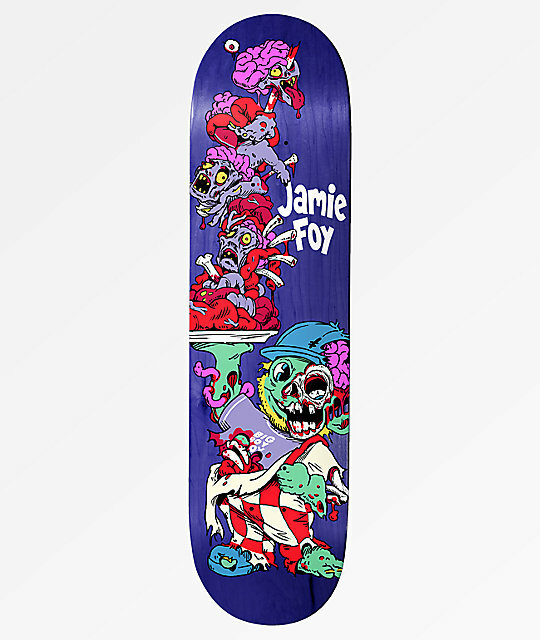 Ride it all like Jamie Foy, on his signature pro model Deathwish Foy Brute 8.0" Skateboard Deck. On the smaller side of Foy's fleet of pro models, this 8.0" deck is nimble and light, while maintaining the moderate concave of it's larger counterparts. Short, steep and wide kick tails provide quick and responsive pop, which is accented with a slight taper to help cut weight and offer improved angular pop for flip tricks. Foy Brute 8.0" Skateboard Deck by Deathwish.